This item is a pair (2) of Lumberg KLBM 3 Mono Jacks for your 1590-A and 1590-G size projects. These jacks are the smallest on the market. 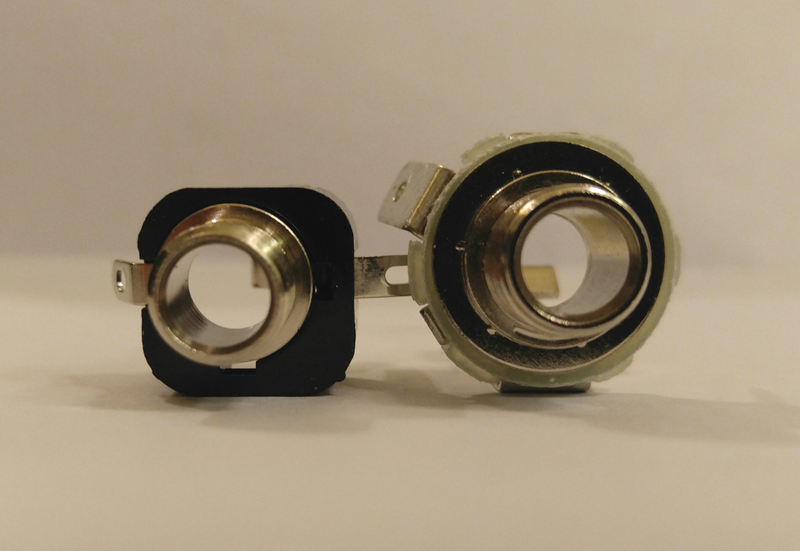 In one of the pictures above, you can see the size difference in the height and width compared to the round shaped Neutrik mono jacks we include in most of our kits. We tried the cheap "knock-offs" carried elsewhere. The craftsmanship was poor. These are genuine Lumberg jacks. Lumberg is a German company that focuses on one thing—connectors. 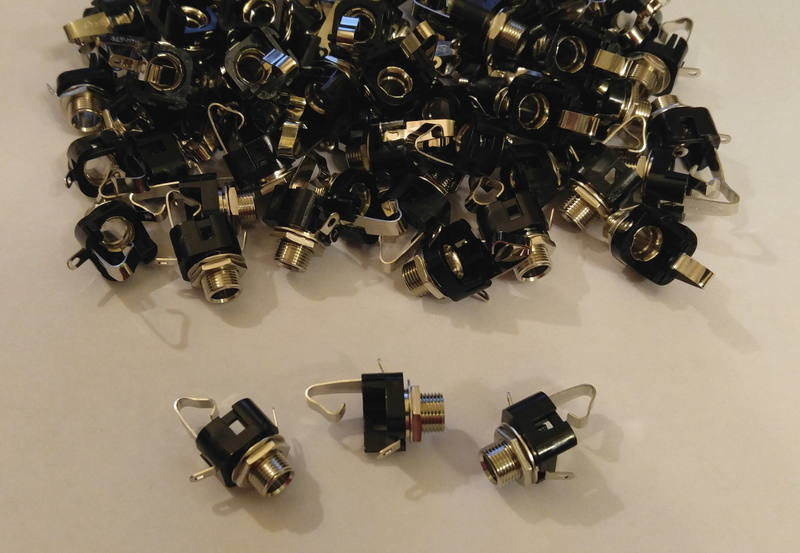 These high-quality connectors are made in Japan to Lumberg specifications.